Almost 50 percent of consumers prefer no artificial ingredients in their choice of beverage. 71 percent of consumers are willing to pay more for beverages made with ingredients they know and trust. When it comes to beverages, clean is the new choice for consumers everywhere. Savvy, label-reading consumers take time to choose food products with cleaner labels and ingredients and are quick to shift loyalties if the products do not meet their criteria. Beverage makers have rightly read this changing consumer mindset and risen to the challenge of crafting cleaner and more organic formulations in future. Most innovations avoid using additives, chemicals, or artificial ingredients, including certain flavors, colors, preservatives and sweeteners, to fit with the clean label trend. If there is any ingredient that does not match a clean bill, we see producers go an extra mile to explain why it’s included and the value it brings to beverage formulation. For the modern-day consumer, the use of simple ingredients and transparent conversation is a sure way to achieve a healthy and balanced lifestyle. This shift is evident in products with a short list of recognizable ingredients. Research shows that consumer trust in food manufacturing and consumer packaged goods companies is steadily declining. This has, in turn, led to the rising demand for transparency — labels with recognizable ingredients, with the fewer ingredients, the better. NMI research shows that almost 54 percent of Americans look for such clean labels in their search for "real" foods and beverages. The growth of natural and organic foods and drinks is linked to this consumers focus. Plant-based beverages are also among those that are making significant headway in the market. Compared to natural foods, plant-based and other organic beverages contain fewer or no artificial ingredients. Since refrigerated beverages play a big role in this sector, revisiting ingredients and production are on the agenda for many companies. They are perishable and have a shorter shelf life, but with no chemical preservatives, manufacturers are relying on processes like pasteurization and high pressure to maintain shelf life. It is clear now that formulators need to set their clean label goals right at the onset of the product development process. This will set the pattern from ingredient choice, processing, and preservation methods all leading to clean labels. Scientists have proven that naturally derived ingredients in clean and simple products lead to improved health and nutrition. The food and beverage industry has to be mindful of offering options that their consumers feel good about and expect. 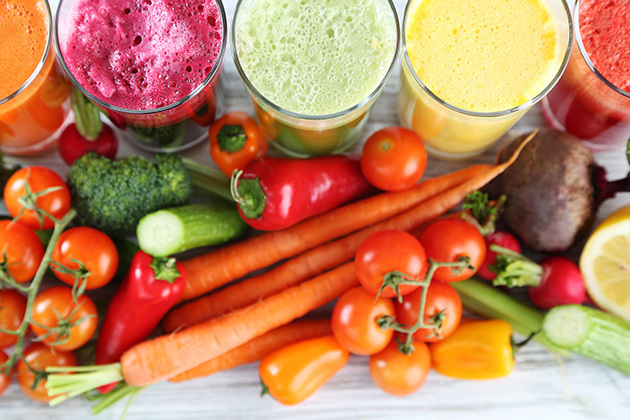 Manufacturers who align their beverages with today’s health and nutrition expectations are more likely to see long-term success. Responsible production and marketing is the new pathway to brand loyalty.